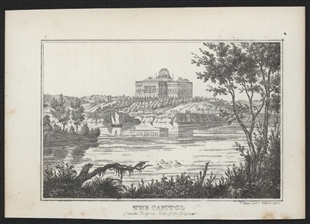 In this 1831 steel engraving, the Capitol is depicted from its plainer side, the West Front. 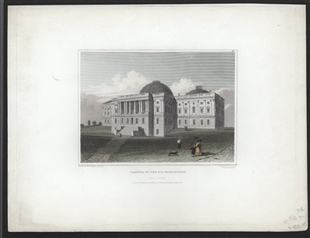 The East Front was the more formal approach, with a grand stairway leading to a colonnaded portico, and the wings meeting the facade. 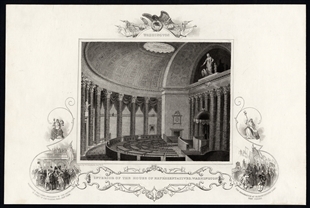 William Goodacre also published engravings of the House Chamber in the 1830s.